High-Pressure Hose Assemblies, Monroe, NC | Hoser, Inc. High-Pressure Hose Assemblies, Monroe, NC | Hoser, Inc.
Make our high-pressure hose assemblies part of your operational lineup. Many commercial and industrial operations in Monroe, North Carolina require the use of high-pressure hose assemblies to effectively clean surfaces or manage processes. At Hoser, Inc., our high-pressure hose assemblies are both reliable and safe and accommodate incredibly high operating pressures of up to 6,000 psi. Each of our high-pressure hose assemblies are constructed using multiple layers of spiral wire reinforcement with covers and tubes that boast thermoplastic qualities. Additionally, our hose assemblies come with a variety of end fittings and operate well under high temperatures. Ultimately, they perform exceptionally under rigorous conditions, so your operations never suffer. As if these benefits weren’t enough, our high-pressure hose assemblies also possess unheard-of chemical compatibility and moisture resistance. Most of our clients use these assemblies for the purpose of chemical transfer applications and high-temperature hydraulics, but they can be used for any application that requires industrial-strength reliability and force. The best part about purchasing your high-pressure hose assemblies from us in Monroe, North Carolina, however, is that we offer a variety of options for a multiplicity of applications. Simply let us know what you need from your hose assembly, and our team will make individualized recommendations based on your requirements and preferences. When it comes to hose assemblies, we are your top source for new set-ups, as well as replacement parts. For further information about our high-pressure hose assemblies and the options we provide, get in touch with us at Hoser, Inc. today. At Hoser, Inc., we offer High-Pressure Hose Assemblies to customers in Monroe and Charlotte, North Carolina, as well as Greenville and Spartanburg, South Carolina. On-site mobile hose replacement makes it easy to repair your hydraulic hose assemblies and keep your manufacturing operation going smoothly in Monroe, North Carolina. Contact us at Hoser, Inc. today! Charlotte Metro NC, Greenville/Spartanburg SC. 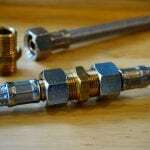 Do You Need to Replace Your Hose Assemblies?